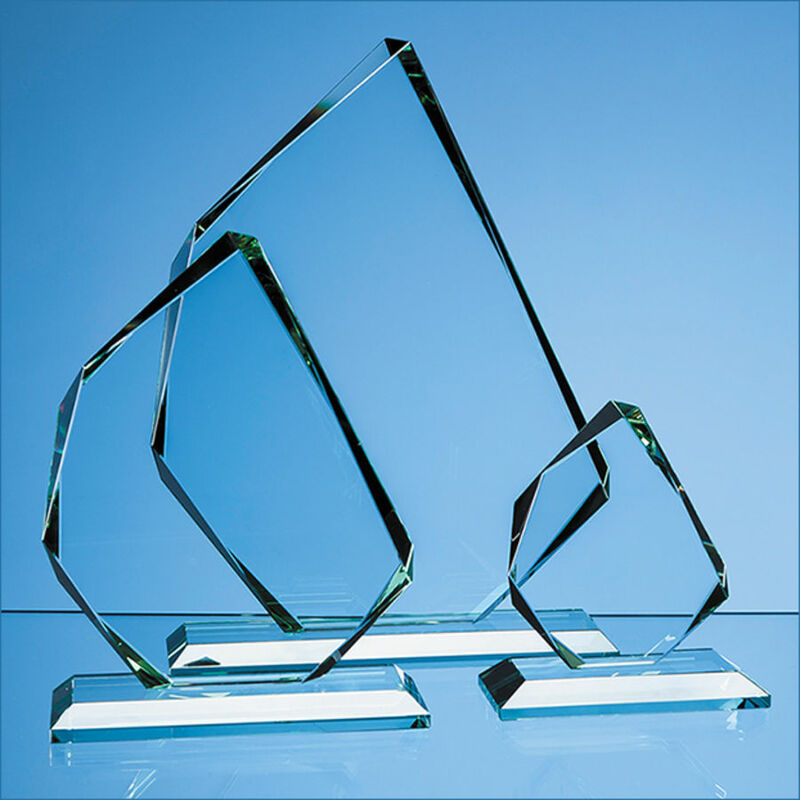 The sleek and stylish Irregular awards are crafted out of 15mm thick jade glass and are mounted on a rectangular base as shown. They are available in 4 sizes and are ideal recognition achievement or incentive gifts. The modern facetted shape of the award looks great when engraved with any crest logo or wording to create an award that is sure to take pride of place when put on display at home or at work. They are supplied in individual presentation boxes.